This is the TU116 GPU which powers the new GTX 1660 Ti Gaming X Card. 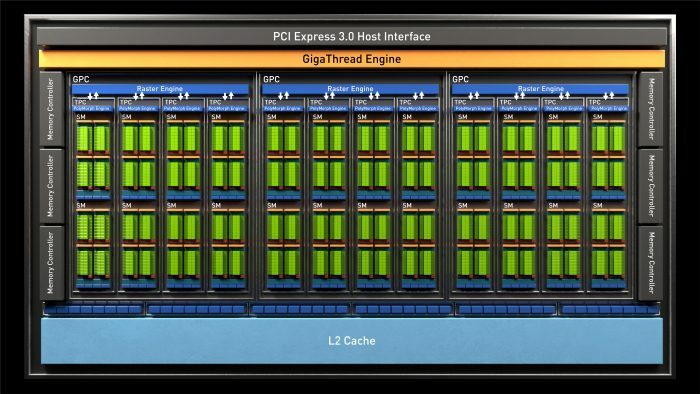 This is a completely new GPU based on Turing Architecture but sans RTX features as we have seen on the 2XXX series cards. The TU116 has 24 SM’s which there are two per TPC. Here you can see the die layout of the new SM for the TU-116. It is a bit different as it now carries an FP16 Execution unit where the former Turing SM had Tensor cores. This is quite interesting as Turing supports concurrent FP and INT which will boost performance vs Pascal based rendering where the FP operations would have to wait for any non-FP math (INT) operations were in process. Also, note that with the FP16 you now have dedicated hardware that runs at double the rate of the FP32 ops. 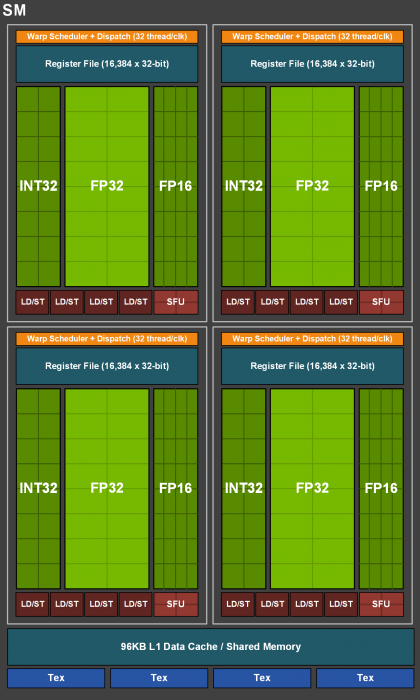 This will help in many newer games which have shown to have a mix of FP and INT based operations and with concurrent rendering, this can give a serious performance bump to these games by simply getting the OPs completed much more quickly. This GPU is taking direct target on existing GTX 1060 and even GTX 960 and lower gamers. 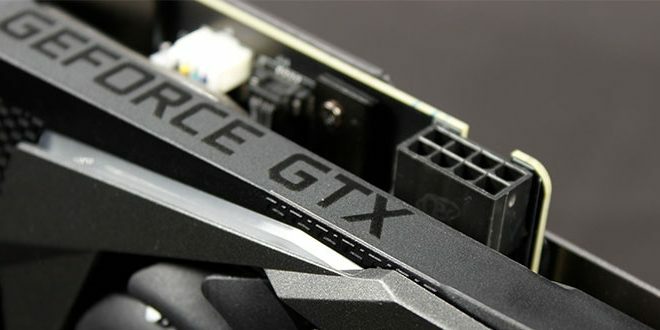 Nvidia claims that over 2/3rds of the segment still are gaming on 960 or lower graphics, and the 1660 Ti Gaming X and all cards like it are designed to give these gamers a reason to step up their game. Now with that being said, Nvidia claims a 3X performance boost from 960 to 1660 Ti and that is a nice possibility especially at a potential sub $300 price point.